LinkedIn can be an important part of your social media marketing mix. Consider it a primary lead generation and connection-creating tool that also acts as an essential business branding tool. In many of the latest social media industry reports, LinkedIn ranks among the top places for enhancing brand recognition, especially among Business to Business (B2B) specialists. Business entrepreneurs and professionals recognize LinkedIn’s strategic marketing value in this respect, as well as in other aspects of branding. And timing is everything. Here are five ways you can use LinkedIn to build your business brand. In the recent past, product launch promotion meant e-mail marketing, press releases and banner ads. Not anymore. Thanks to LinkedIn, B2B companies, in particular, have a platform that acts as an ideal distributor of new product information to interested parties (e.g. bloggers, consumers, media, etc.). Furthermore, more businesses are showing confidence in LinkedIn product launches than for Facebook and Twitter equivalents, even if the latter two giants are more popular among the general population. Perhaps a non-issue for confirmed solopreneurs, but if you are in expansion mode and need professional help, there are few social networks that match LinkedIn's quality reach. Whether from your immediate connections, LinkedIn discussion groups, or general talent search, you are probably going to come across a slew of qualified candidates rather quickly. Professional social networking has taken off in the past decade, and have arguably become more effective than traditional job boards, staffing agencies, and career websites. LinkedIn can be an effective lead generation tool for online entrepreneurs looking for alternatives to e-mail marketing, squeeze pages, and banner ads. As a website recognized for B2B and business to consumer (B2C) interaction, both your visitor-to-lead conversion rate and cost per (lead) acquisition rates will improve by using this networking space. 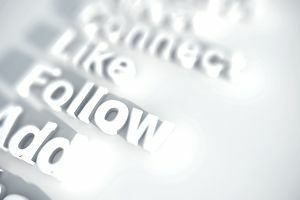 Unimpeded sharing of content with your current followers and connections. Better access to potential clients and industry influencers via LinkedIn advertising. Before you know it, your insights and experiences can be in front of hundreds – if not thousands - of enthusiastic people on a daily basis. It's no secret that the chances of success in online marketing are enhanced with better search engine visibility. LinkedIn can be part of the solution since an optimized LinkedIn profile (profile, company page) makes it easier for prospects and like-minded business people to find you. Making your business title and company name stand out with action words. Describing your enterprise and yourself completely in your profile. Using the right keywords in your biography and homepage description. Linking back to your website and/or blogs in your profile, description and latest posts. LinkedIn branding should come naturally to both novice and experienced business people. Take the opportunity to showcase your current positioning in your niche market, past accomplishments, and what you can do for others given the right set of circumstances. LinkedIn should be considered a good business investment for upwardly mobile entrepreneurs looking to extend their brand both locally and on a global scale. It has the potential to become a one-stop social media hub for making more connections, attracting new clients, and distributing vital information to folks who value your contributions.